The homesteaders knew it would be tough, farming the land for the first time, living in unfamiliar territory, often isolated from other people for long periods. 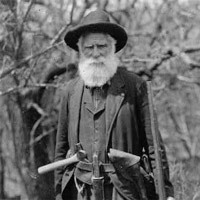 Men such as Daniel Freedman, pictured here, perhaps the first homesteader, left family and community to try to win prosperity with their new land. Some settlers went with their families. They have left us stories about grasshoppers devouring entire crops of corn. They also told about their isolation, with no schools or social gatherings, as people lived too far apart.